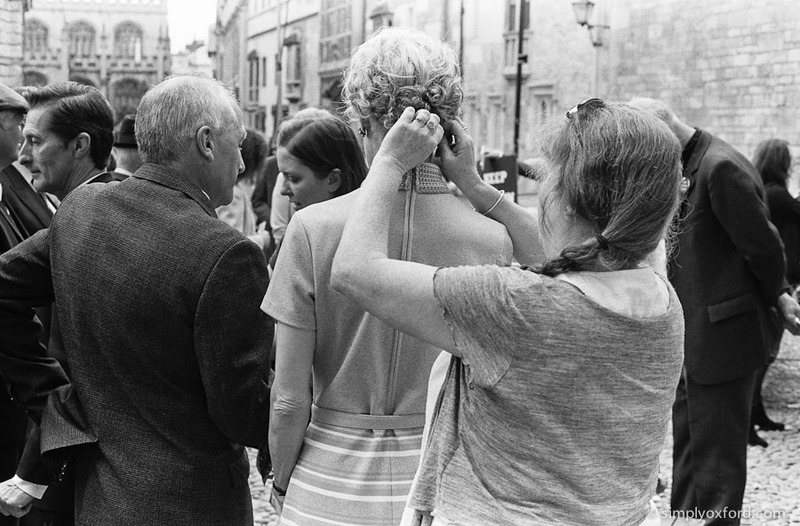 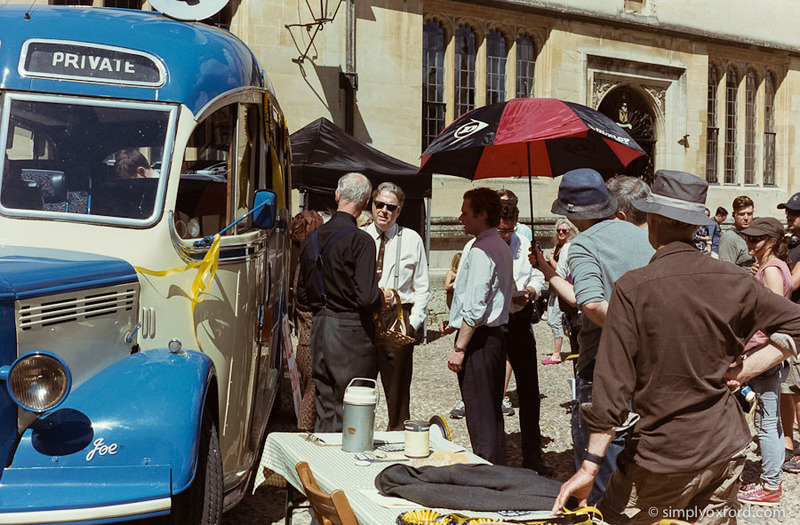 Behind the scenes during filming of Endeavour episode ‘Canticle’, series 4 episode 2 in Oxford, July 2016. 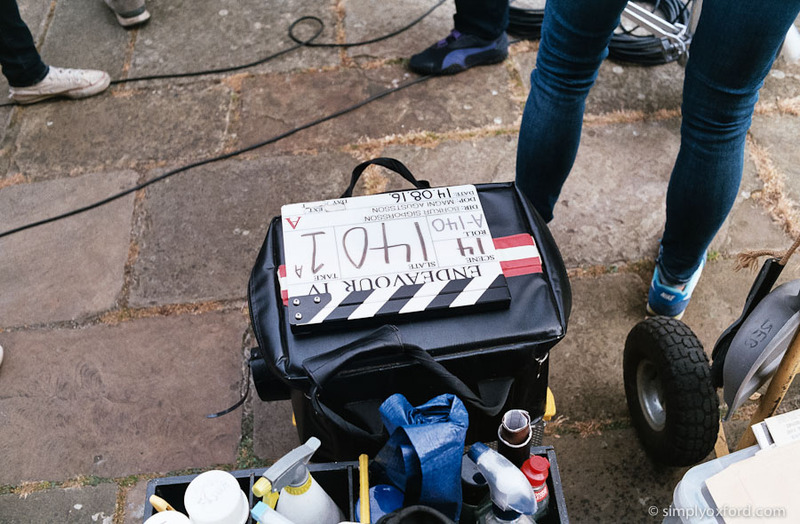 The film I used to make these pictures was left over from the filming of Star Wars: Episode VII. 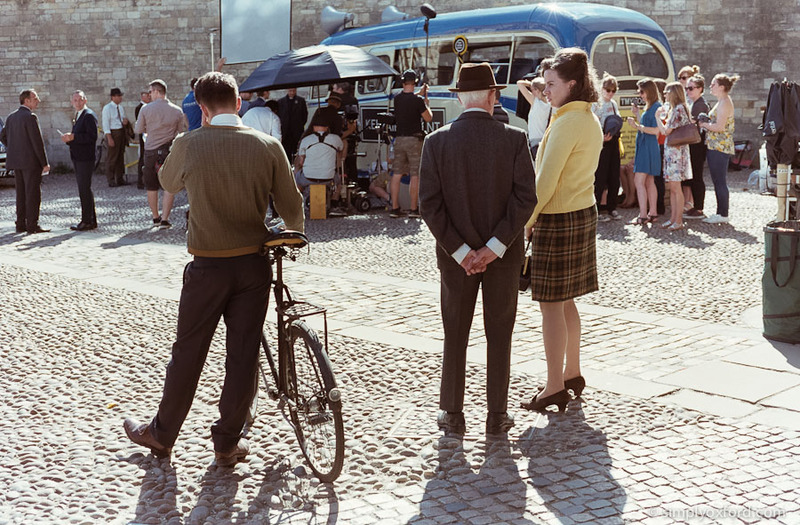 The film stock is Kodak Vision 3 250D and is designed to be developed in ECN-2 chemistry but as I don’t have any I cross-processed this roll in C41 chemistry which is why the colours are not completely accurate. 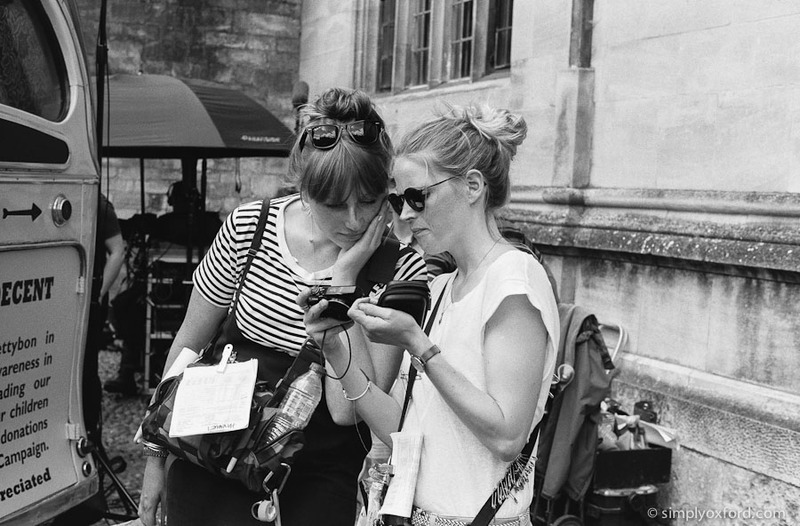 [Tech info:] Leica M2, Voigtlander Nokton 50/1.5, Kodak Vision 3 250D, developed in Fuji Xpress C41 kit, Pakon scans. 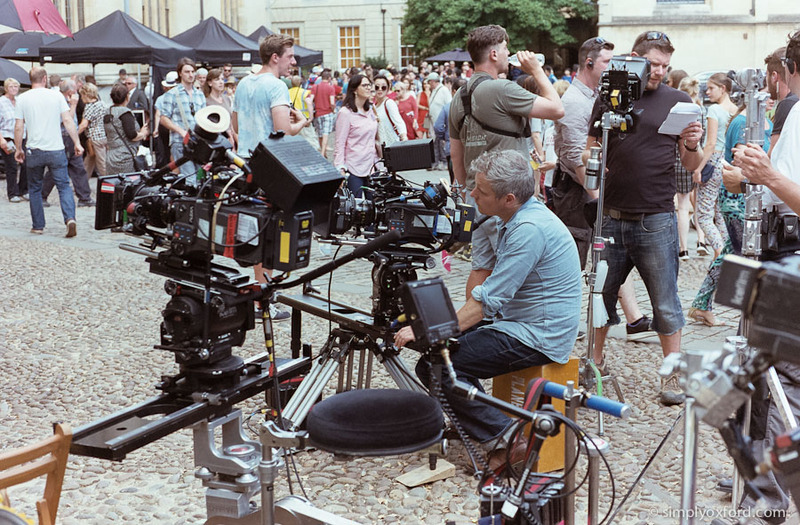 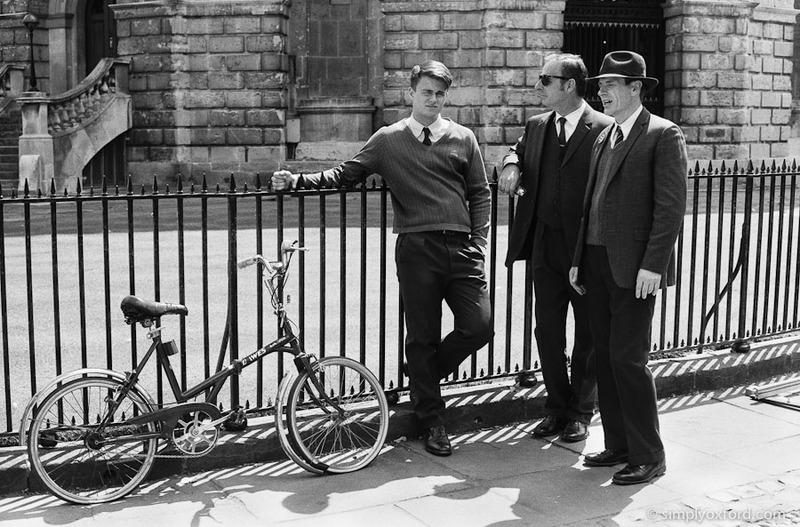 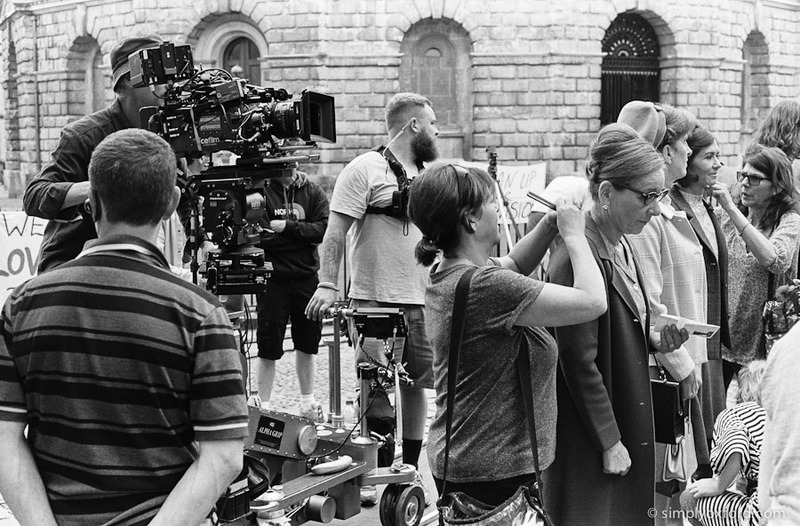 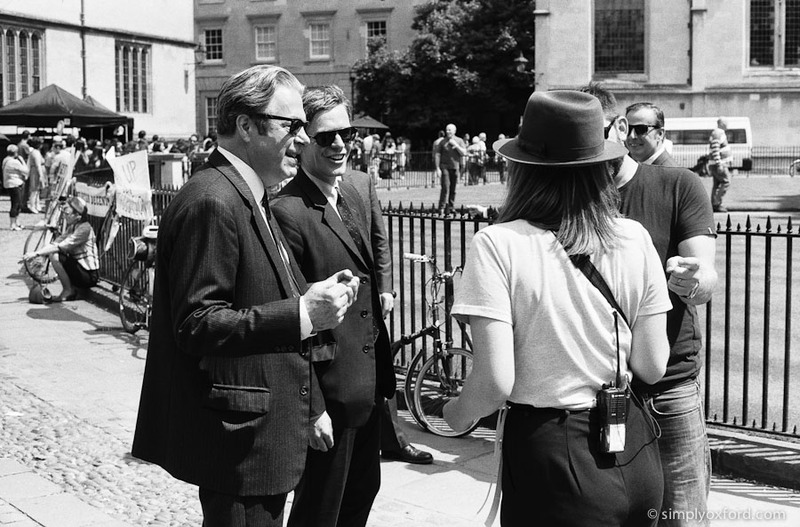 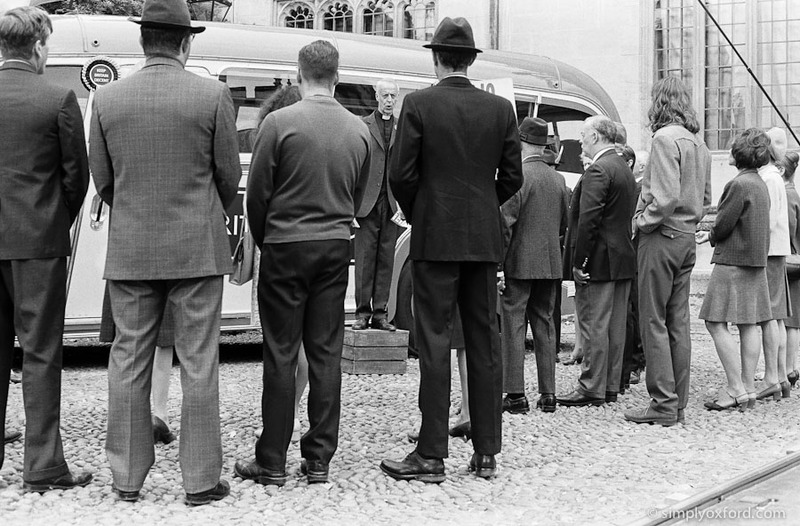 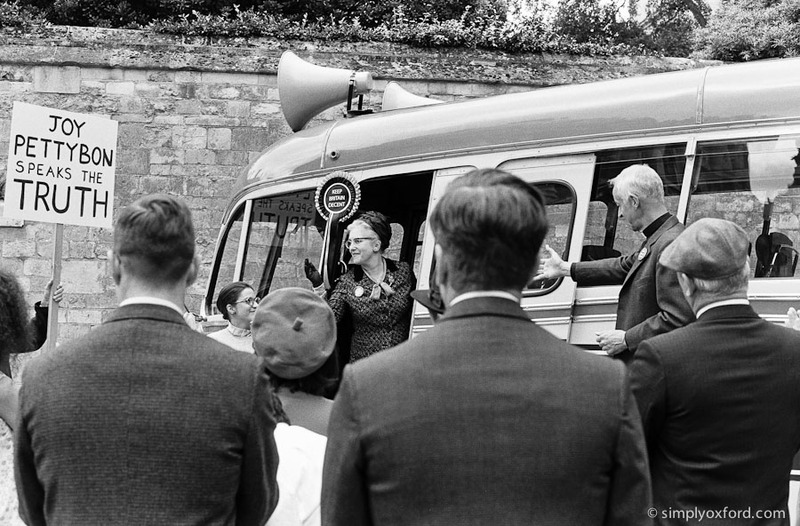 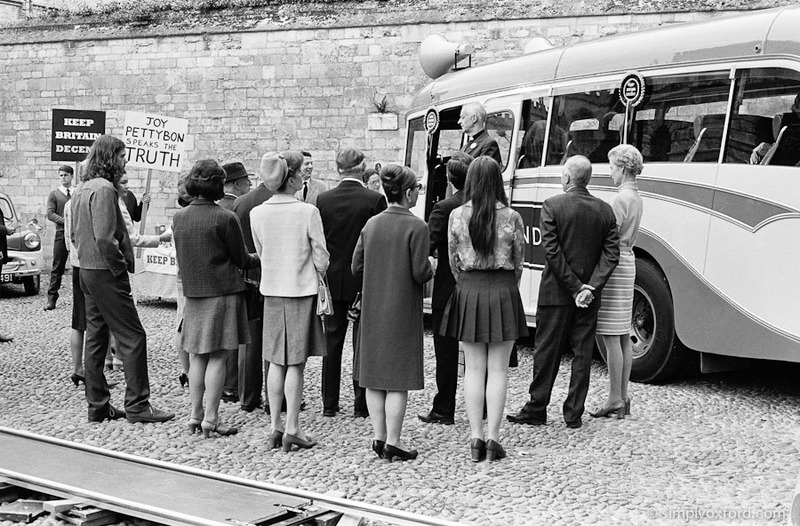 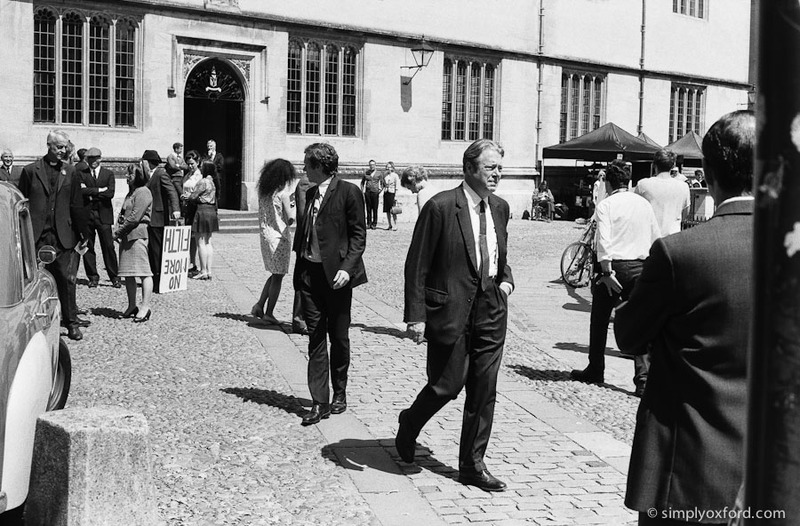 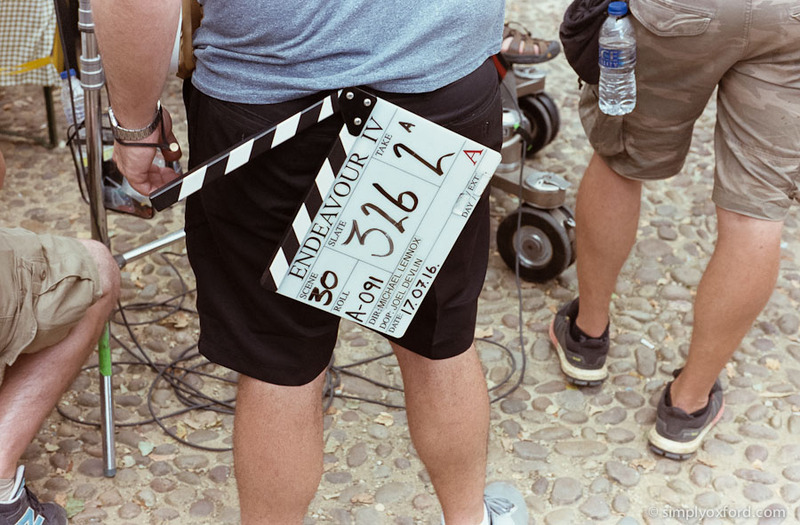 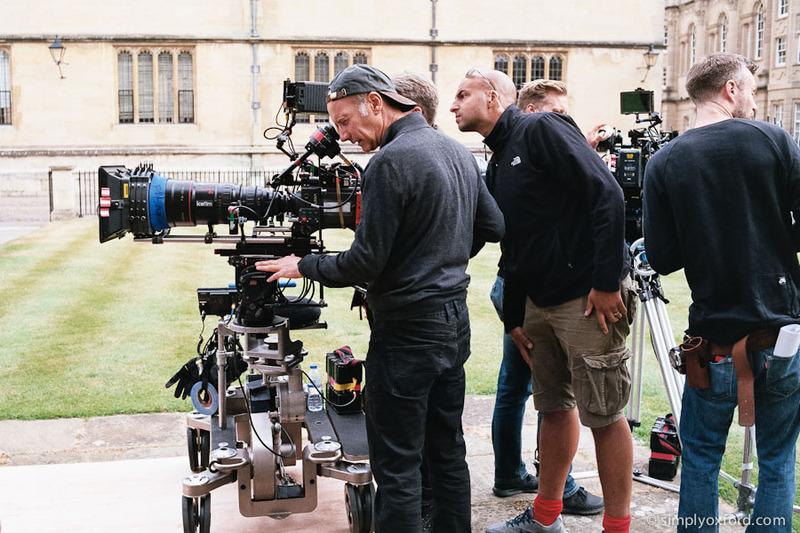 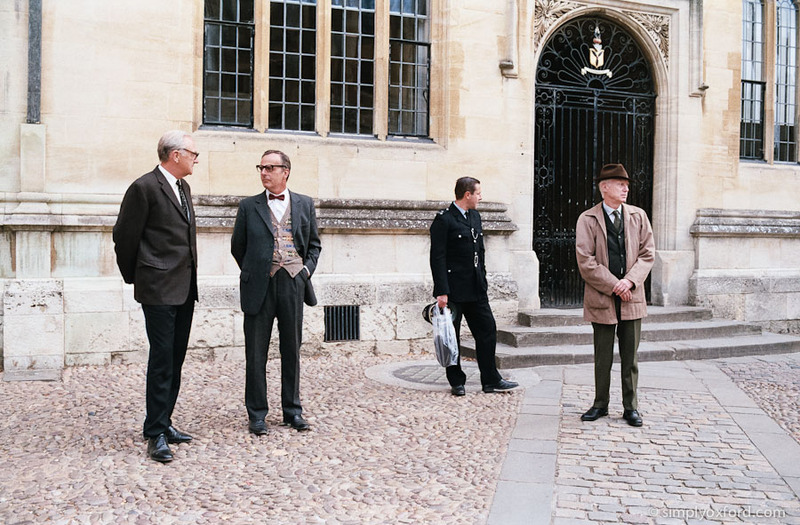 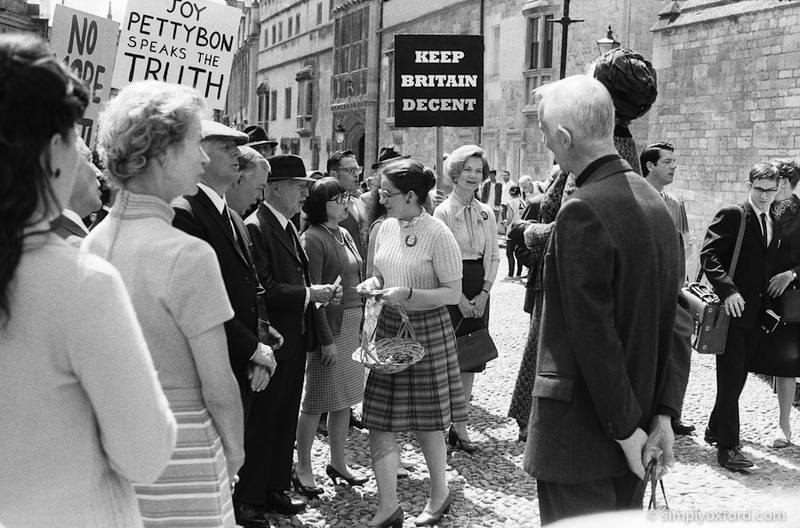 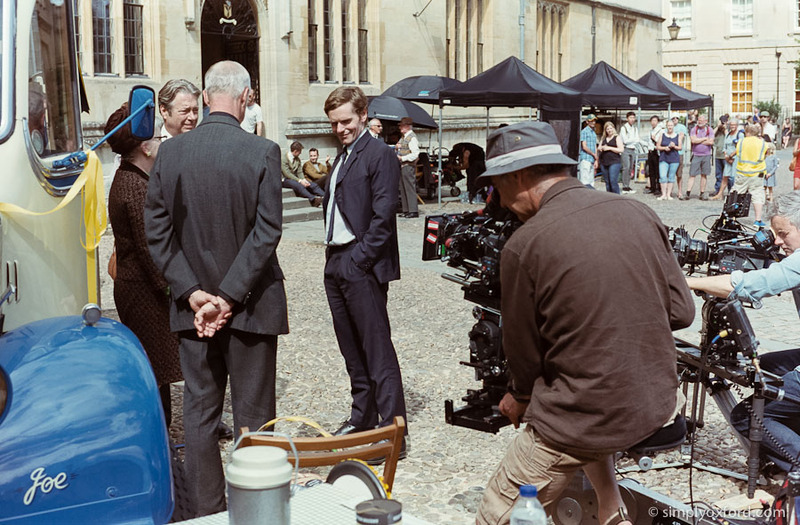 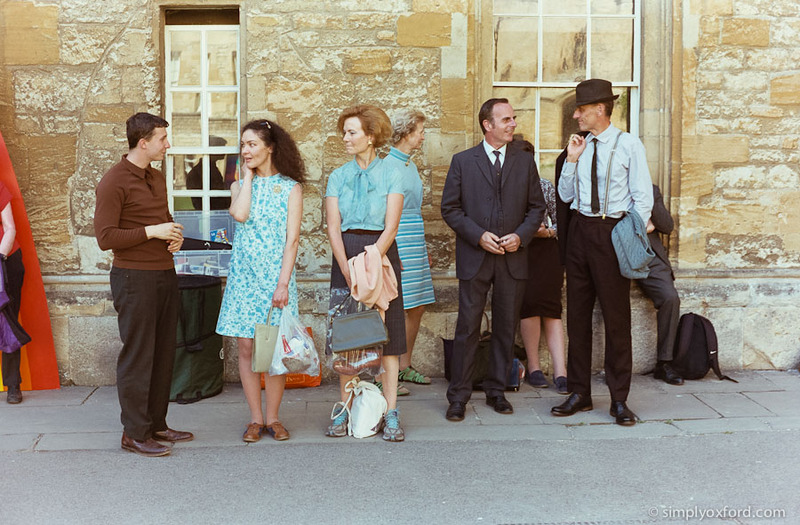 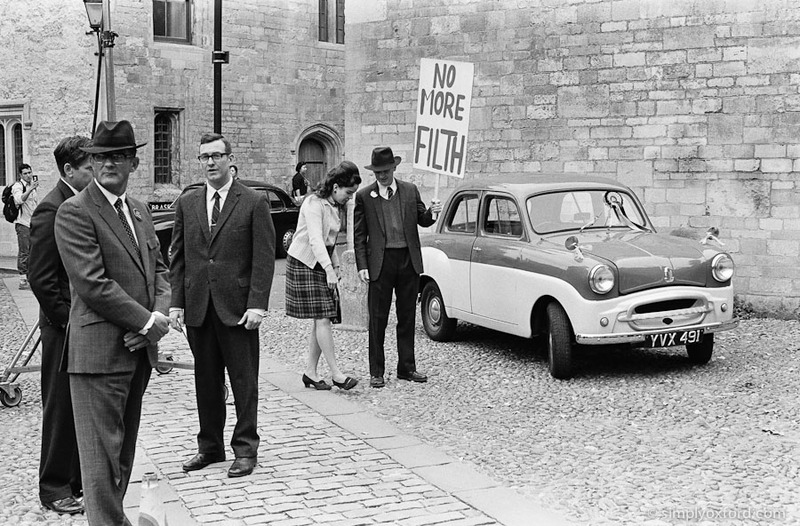 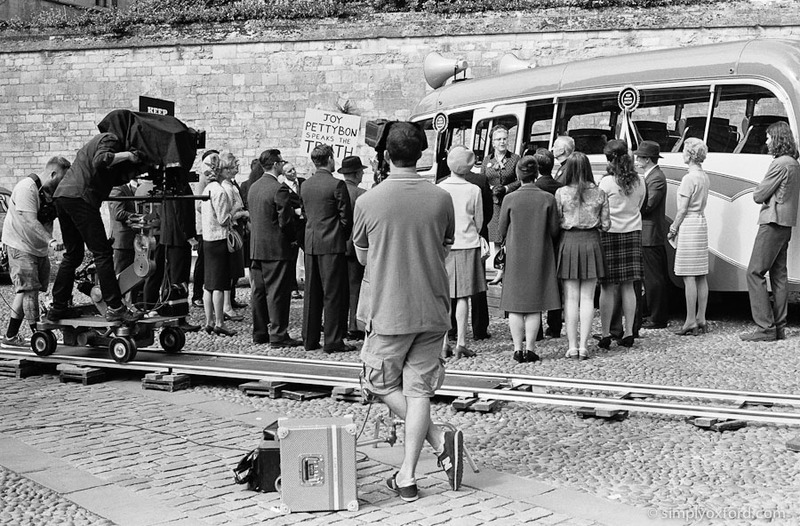 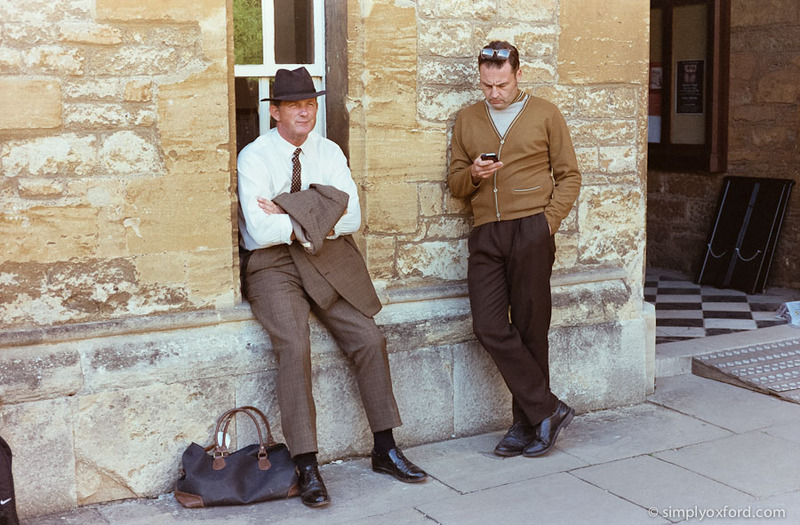 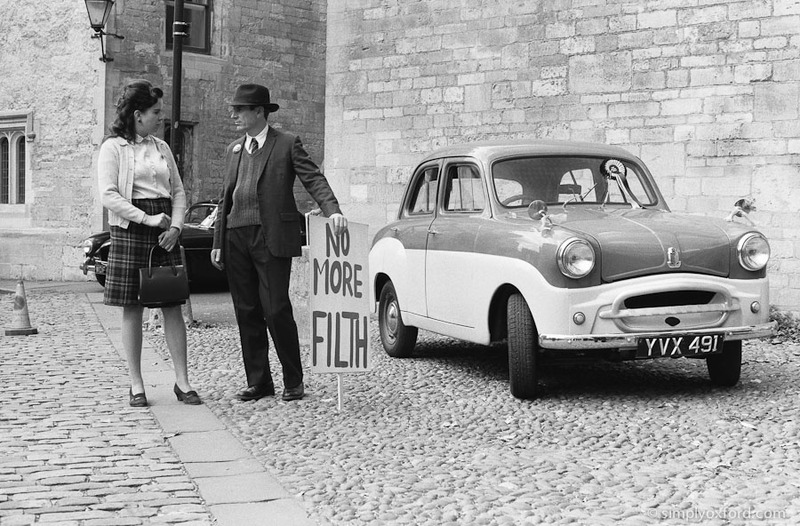 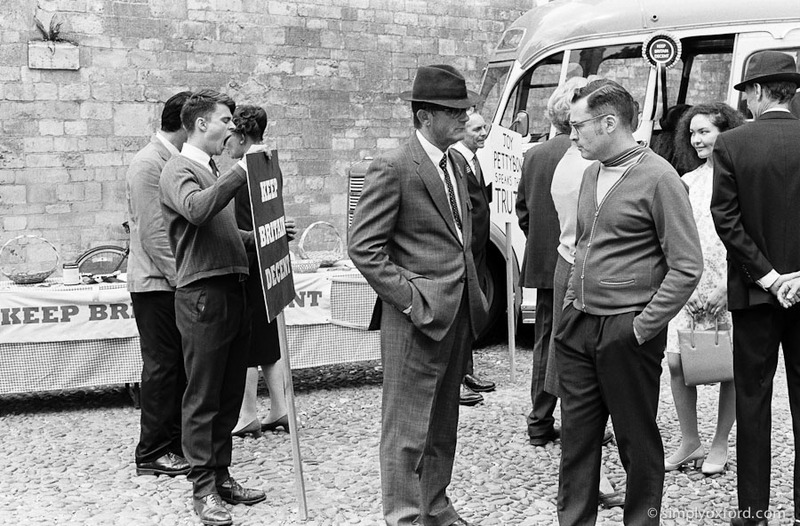 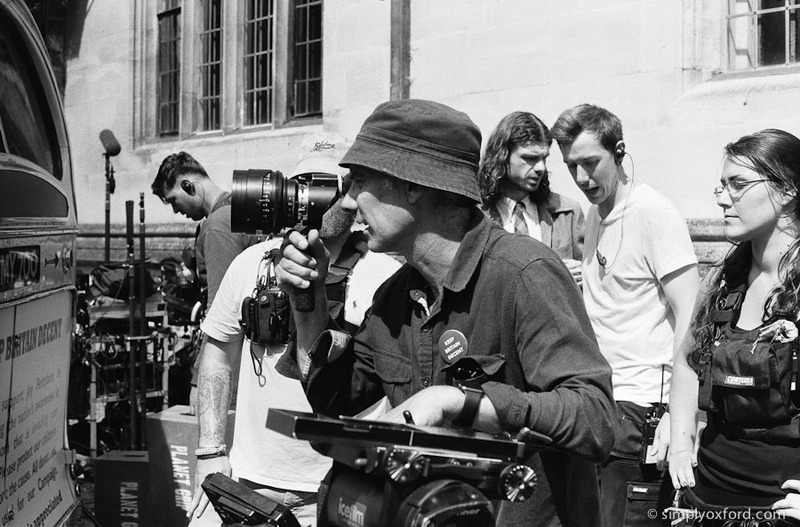 These behind the scenes shots of Endeavour are from the first day of filming in Oxford for Episode 3 of Series 4. 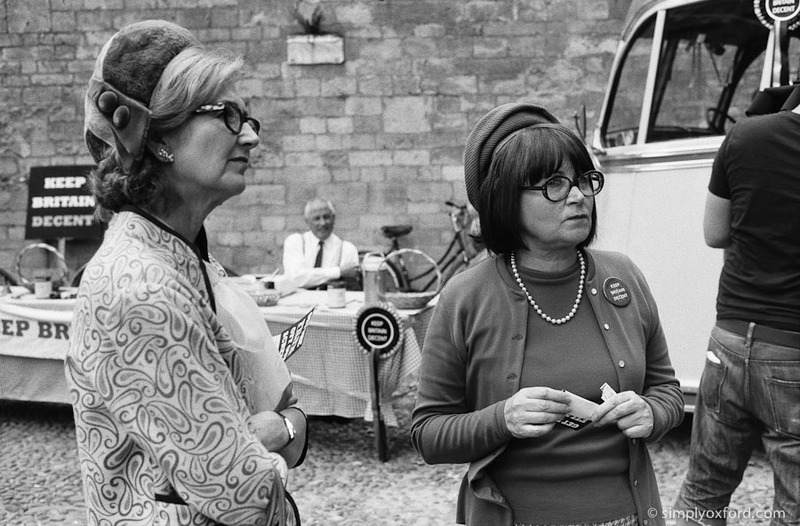 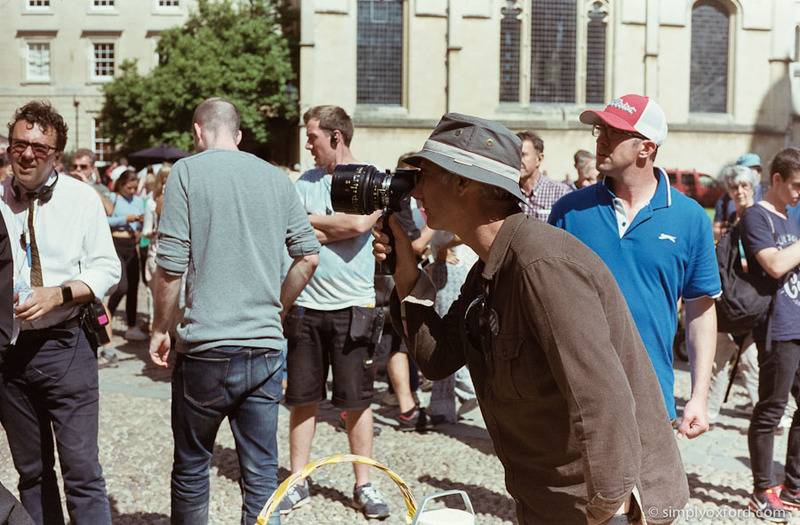 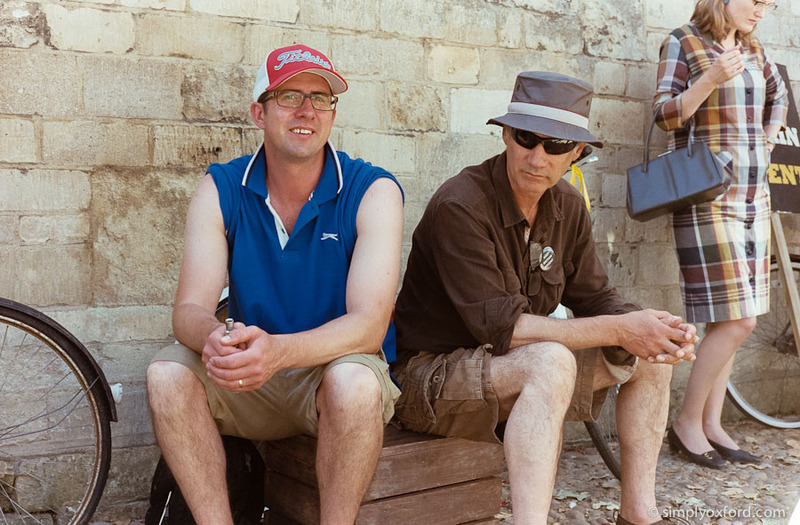 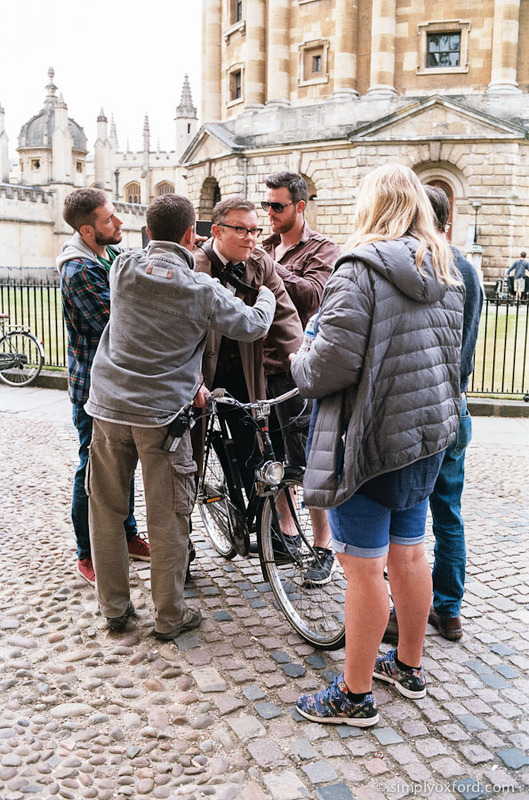 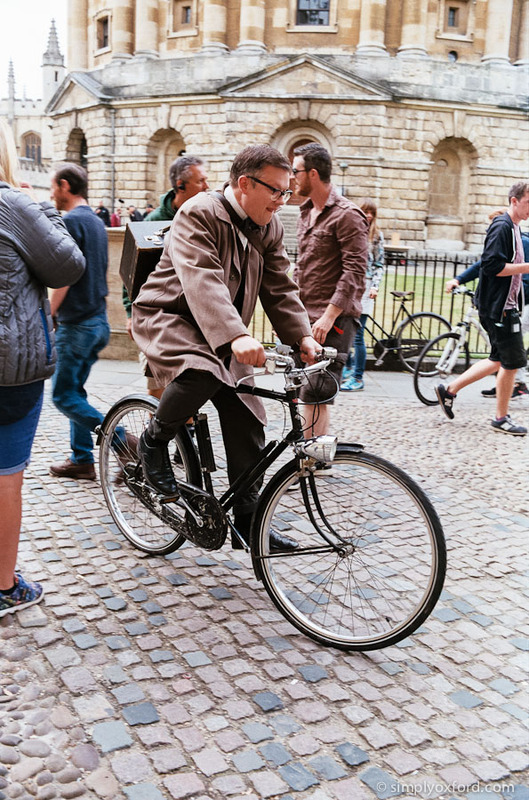 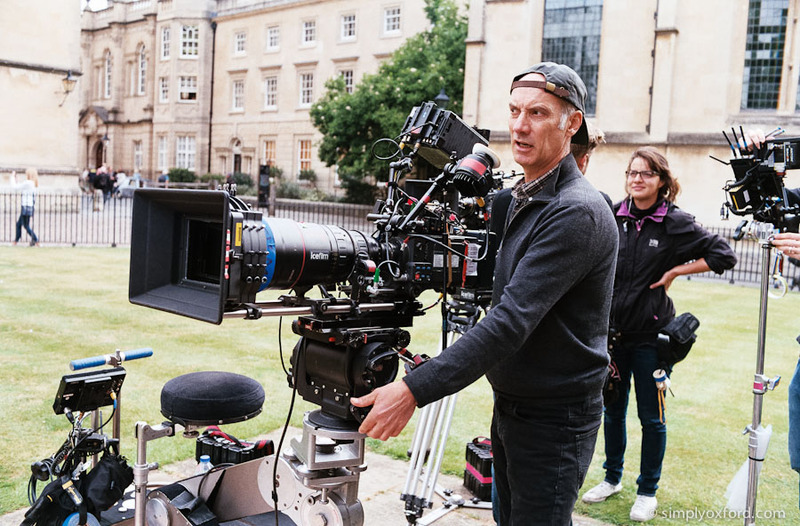 This was the first scene they filmed in the morning of Dr Max DeBryn cycling around Radcliffe Square but it didn’t make the final edit. 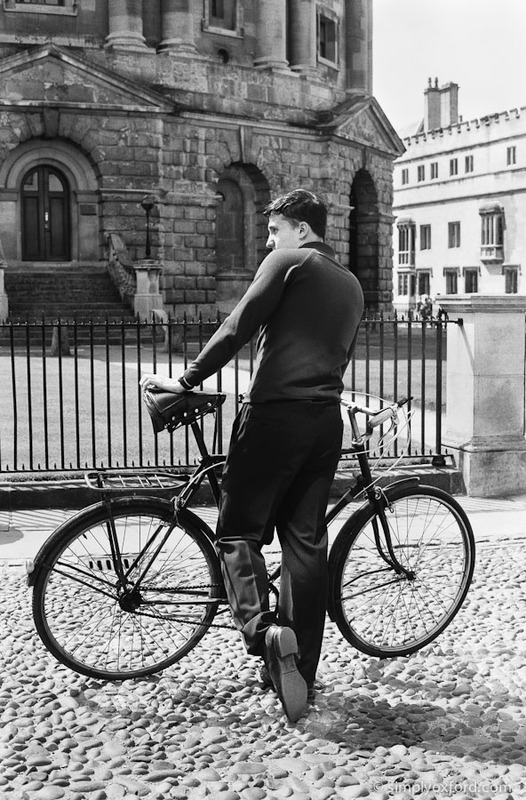 I’ve cycled over those cobble stones and it’s not comfortable at all. 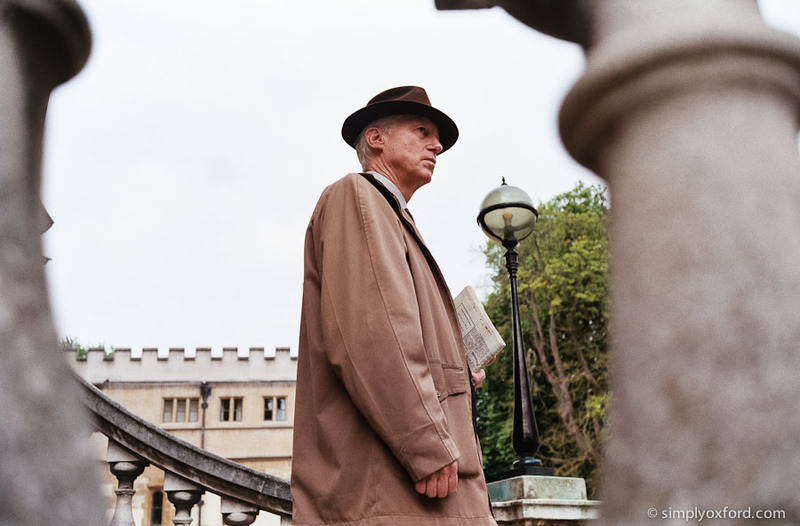 [Tech info:] Konica Hexar AF, Agfa Vista 200 film, developed in Fuji Xpress C41 kit, Pakon scans. 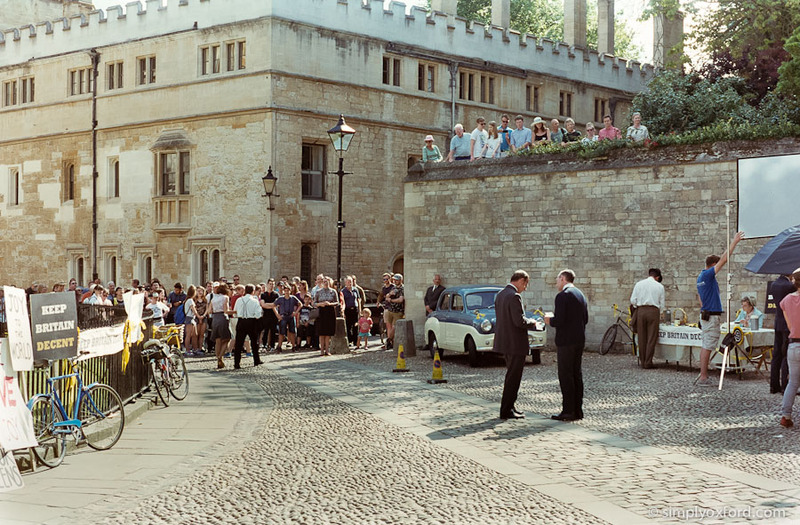 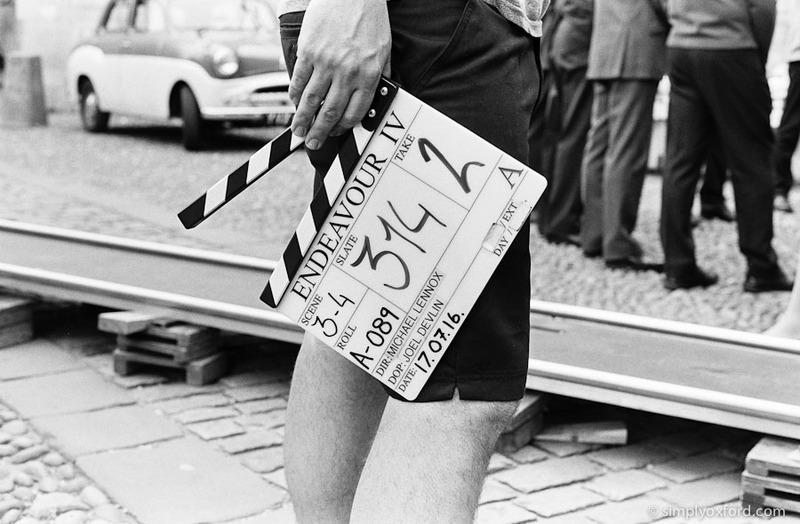 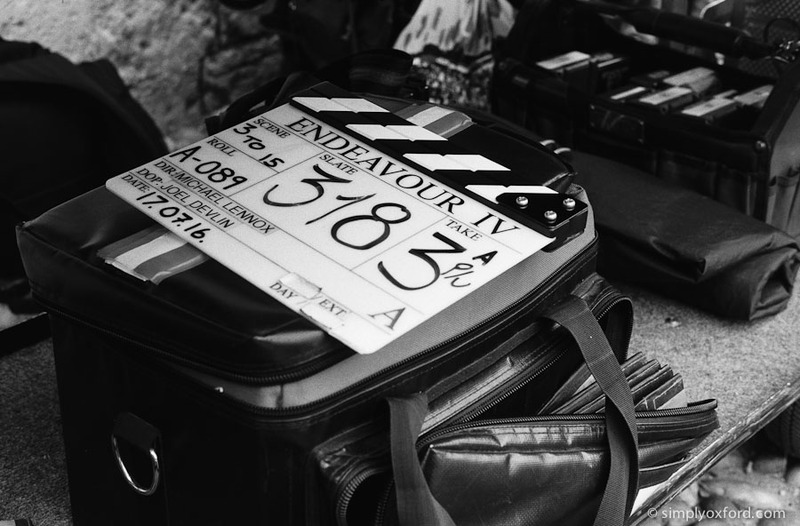 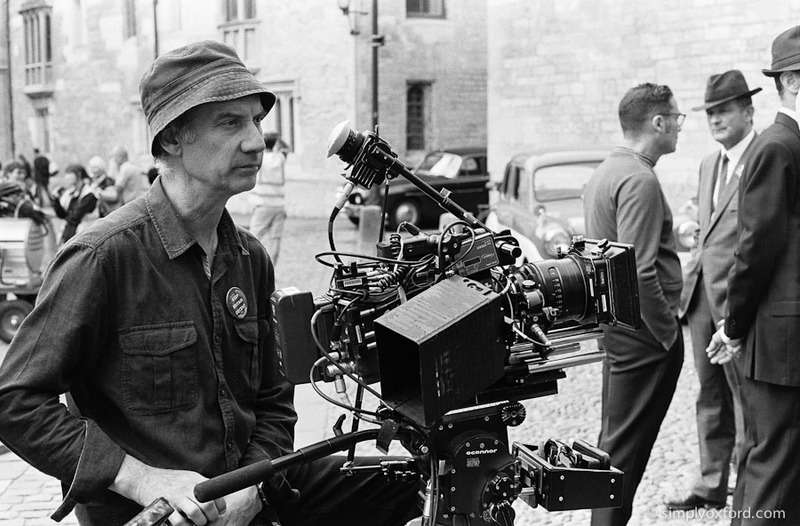 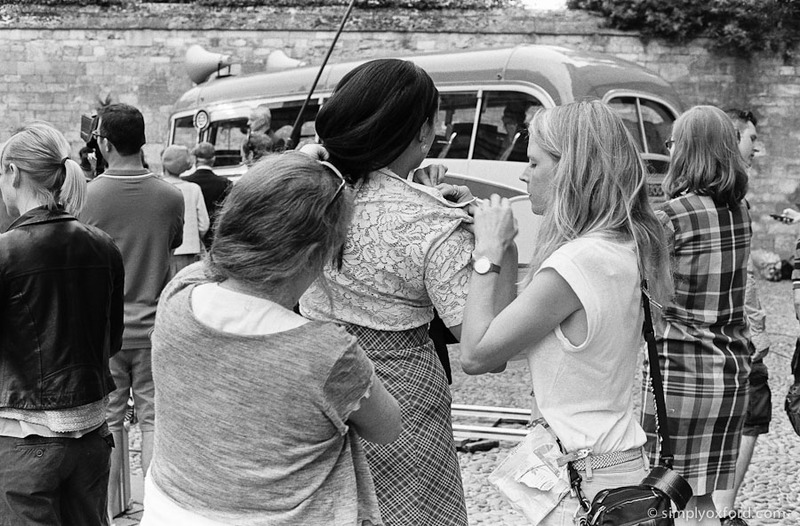 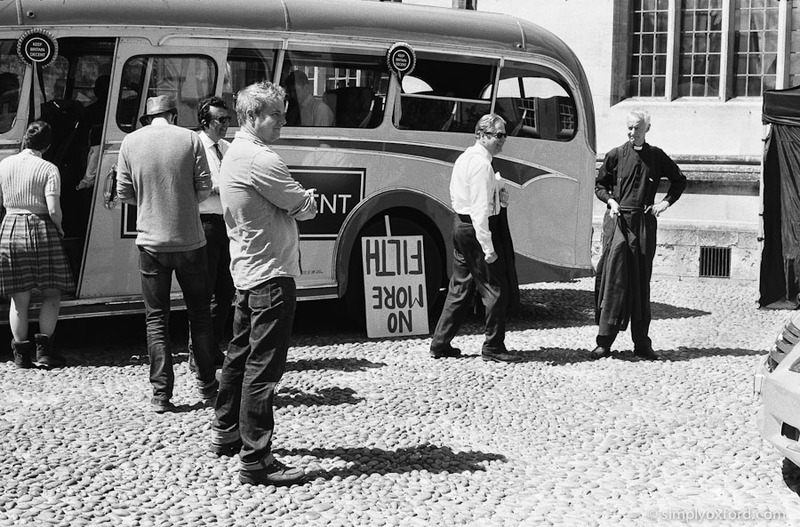 Behind the scenes photography from Endeavour series 4 episode 2. 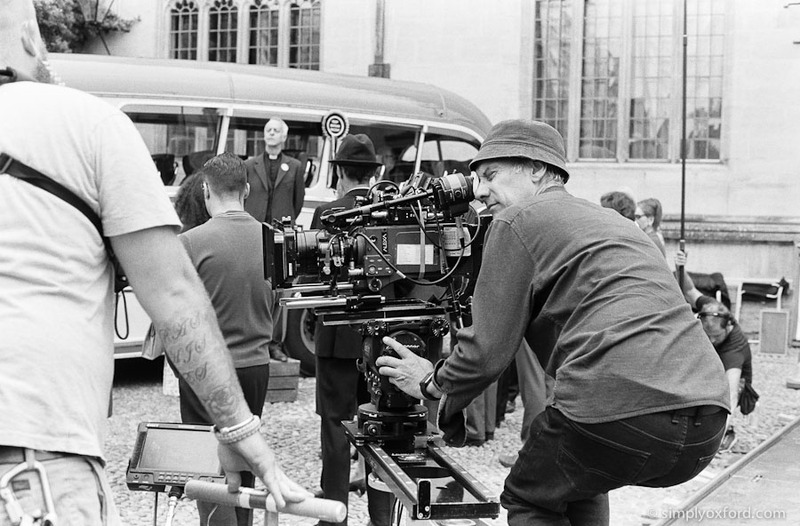 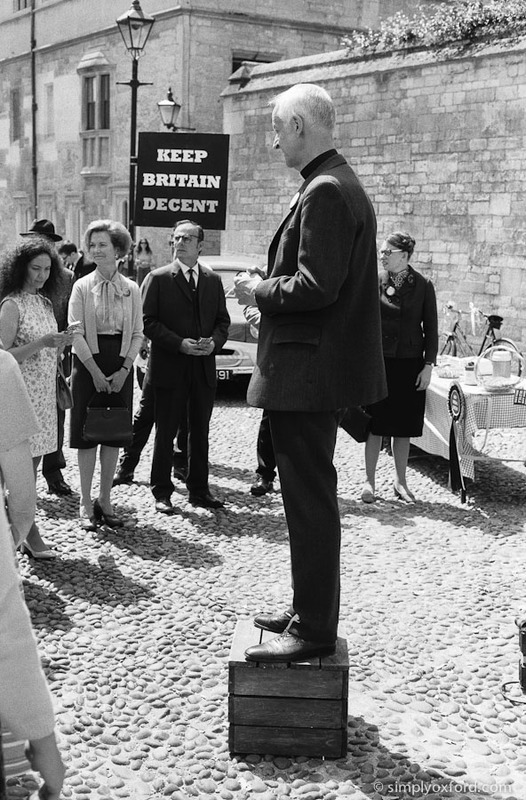 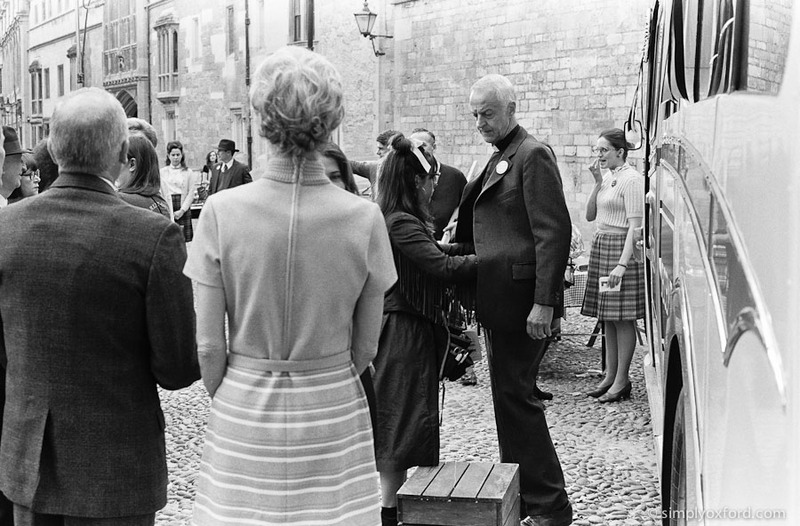 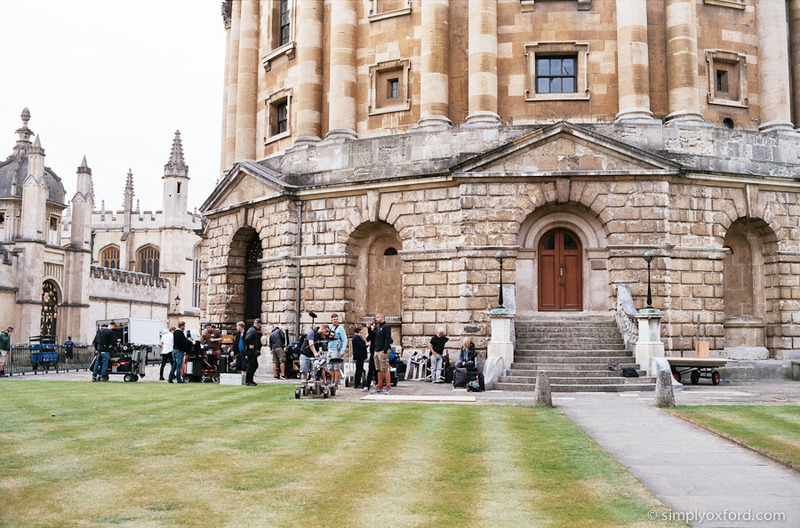 This was part of the opening sequence which was filmed in Radcliffe Square. 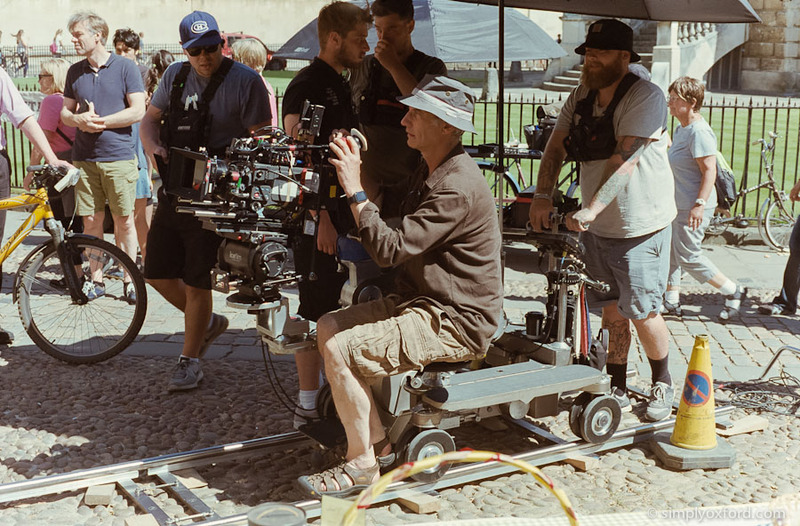 The crew started very early to set this up and the day started off overcast but the clouds burnt off quite quickly as I recall and it became a real scorcher of a day. 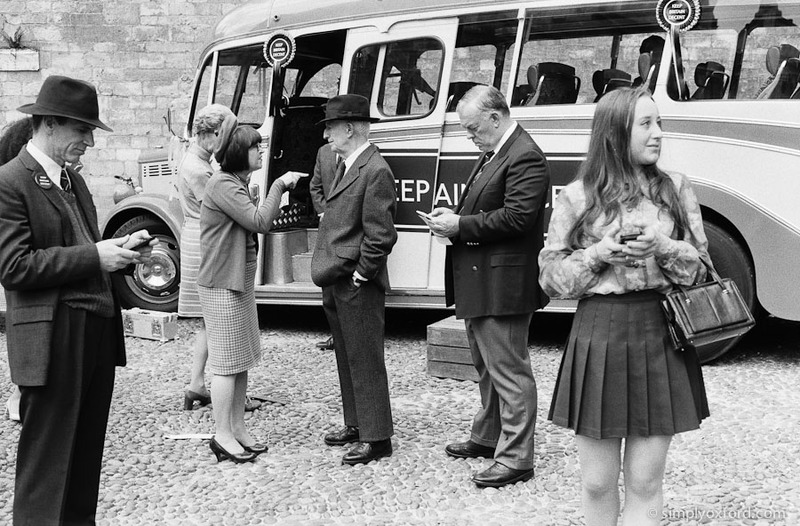 At the time I think it was the hottest day of the year. 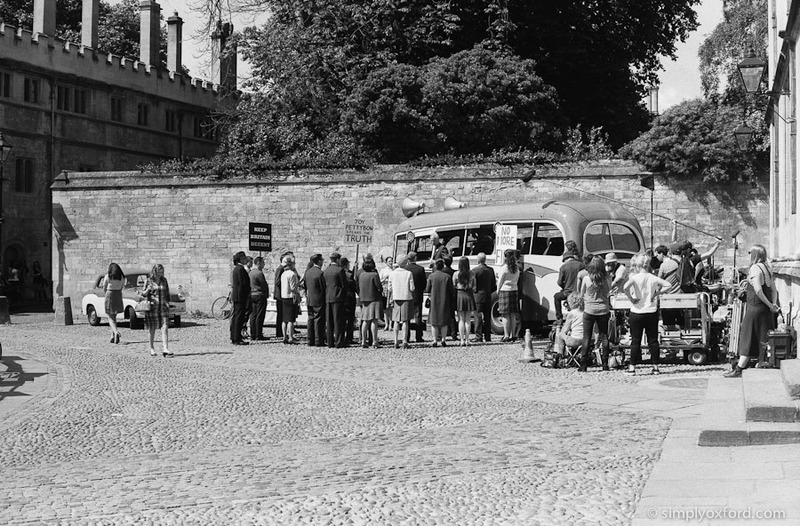 As the morning progressed the temperature started to rise and so did the numbers of tourists that flowed into Radcliffe Square. 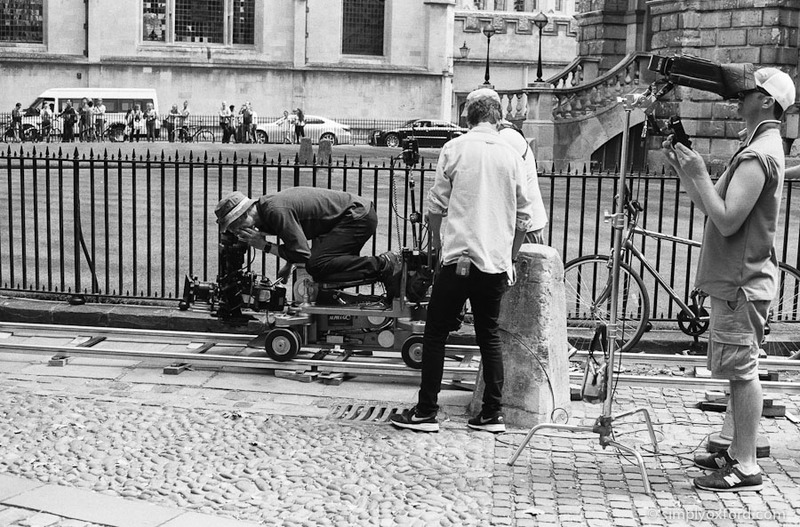 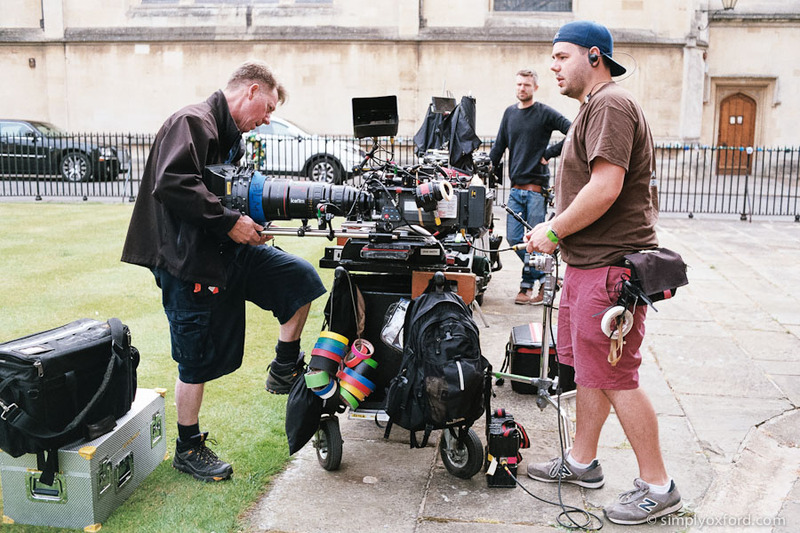 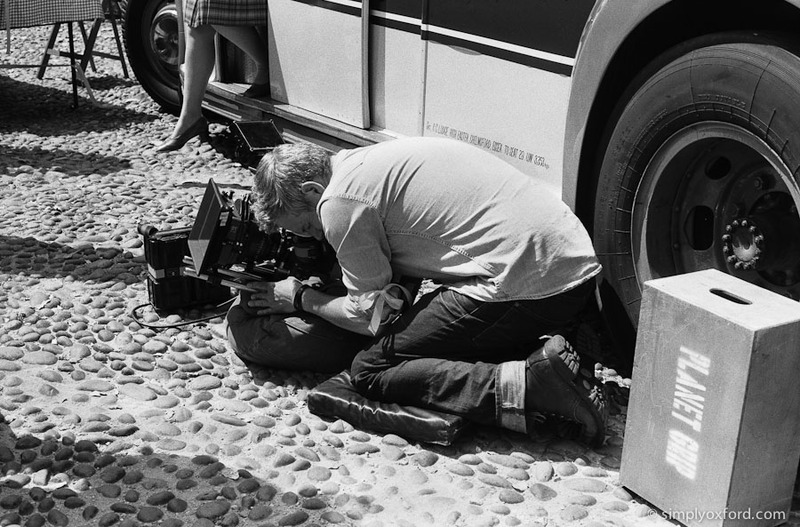 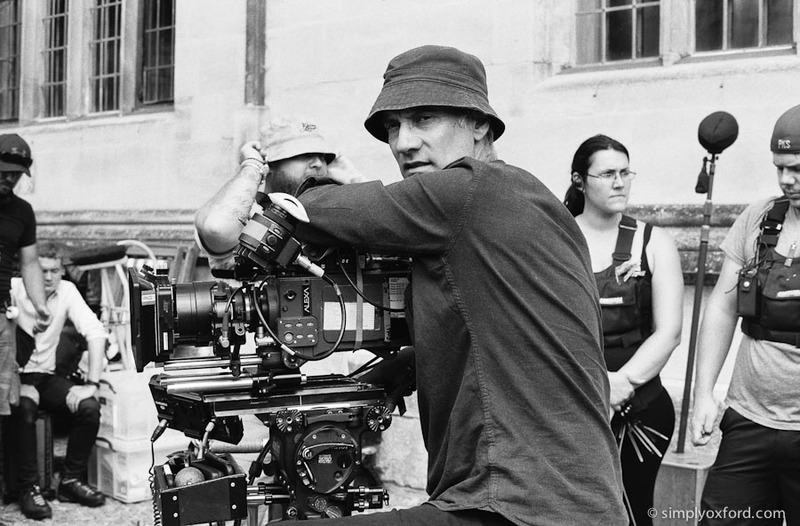 If the buildings weren’t enough to get mobile phones snapping it was the presence of a film crew that certainly did. 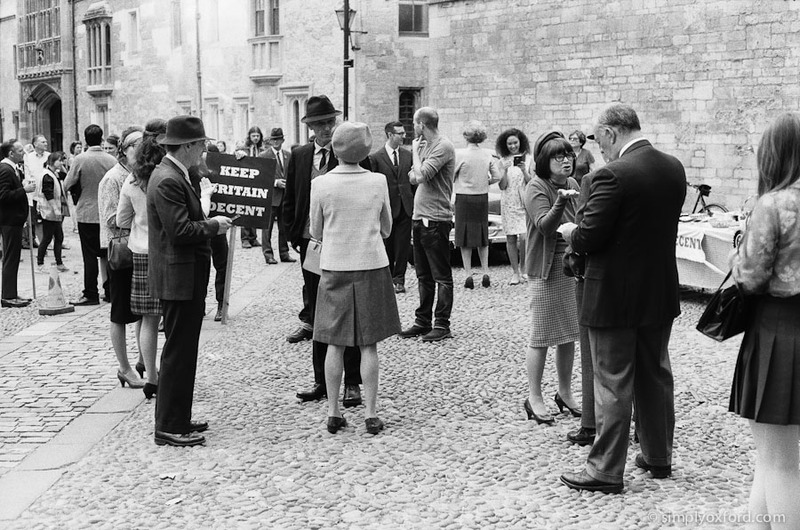 The security crew did a fantastic job with crowd control as the numbers of onlookers increased. 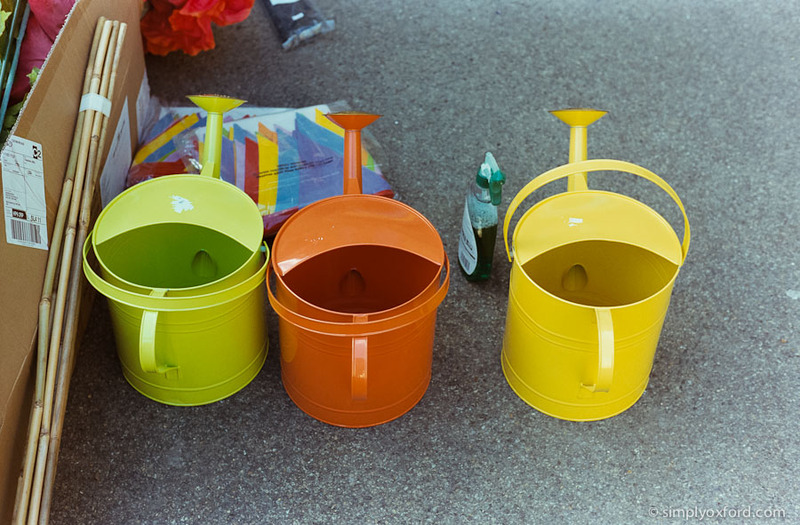 These shots are all from the same roll of film and you can see the harsh sunlight in some of the later shots. 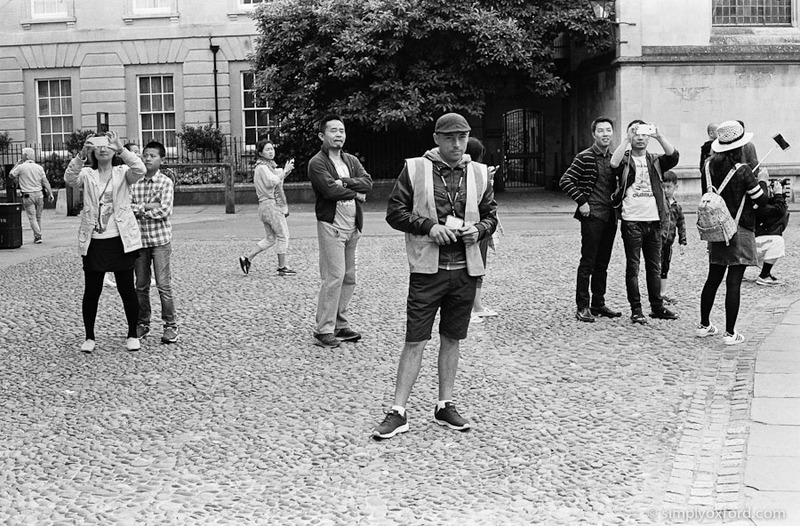 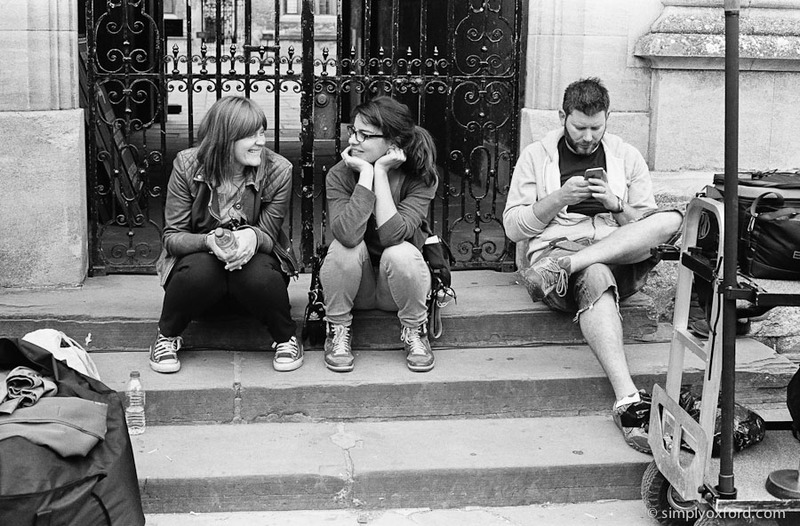 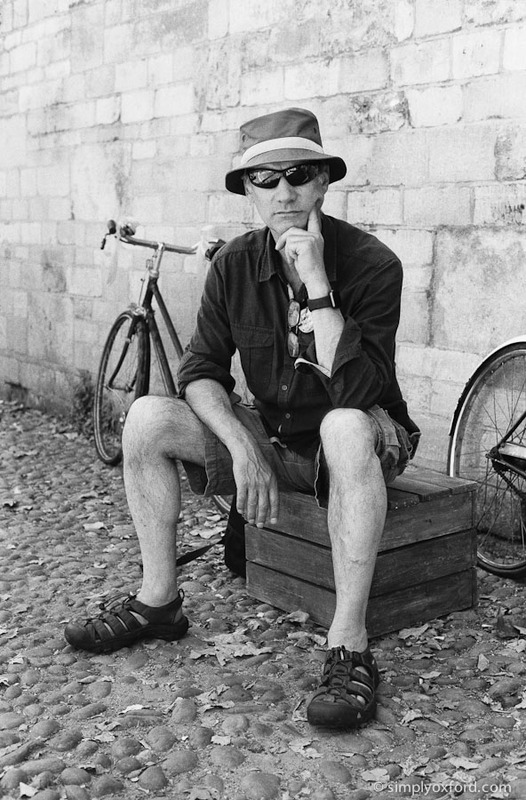 [Tech info:] Leica M2, Voigtlander 50/1.5, Ilford FP4 film @ ISO 200, developed in Kodak HC110 1+31, Pakon scans.